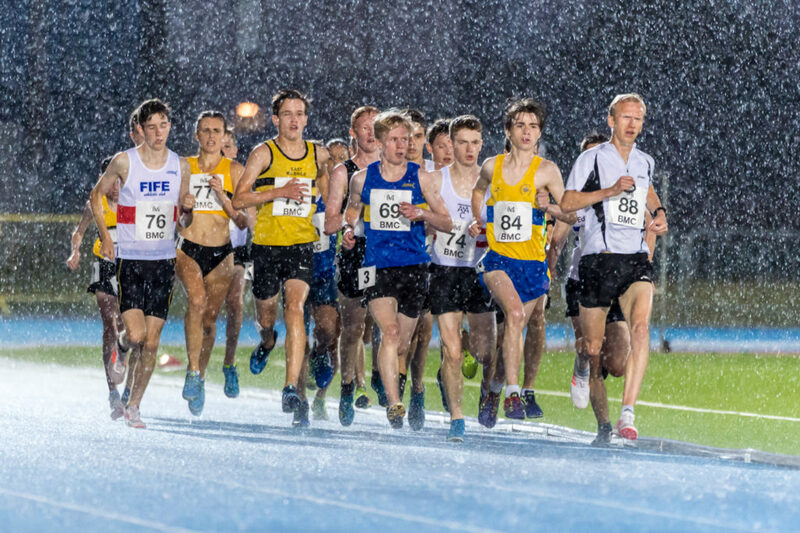 Kristian Jones and Mhairi Maclennan made their mark on the cross country season with National XC title wins at Falkirk almost six months ago – and on Friday they delivered the top performances over 5000m at the GAA Miler Meet. Scotstoun was hit by a severe downpour and electric storms by the time Sol Sweeney came up with a strong 1500m run at 3.46.48, an excellent effort under the conditions. 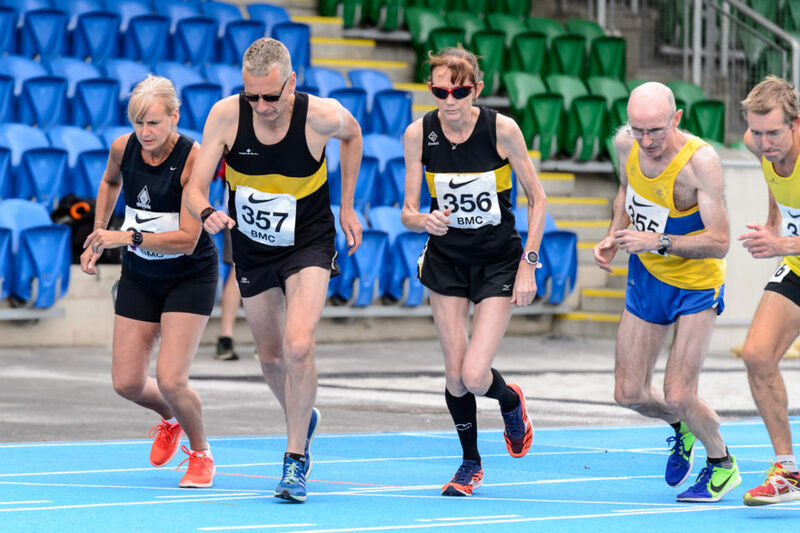 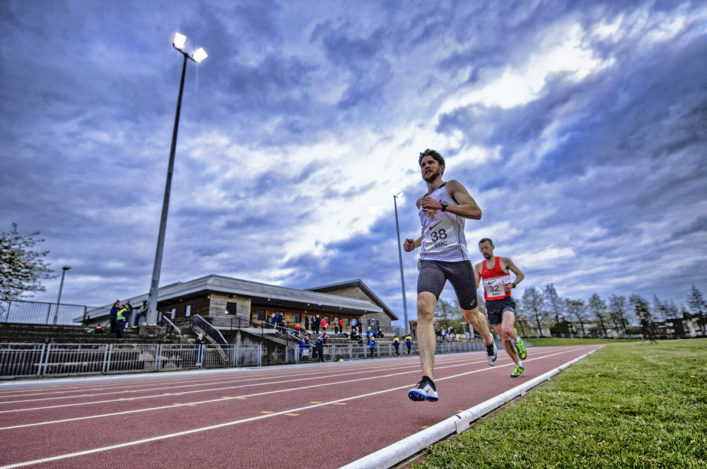 And, earlier, Fife AC athlete Owen Miller had claimed what is believed to be a British best performance for T20 athletes over 5000m as he raced to 15.08 in his first outing on the track at the distance at the age of 26! These were among the highlights on a night when Masters athletes battled for their 5000m age group medals and the pace-makers included the likes of in-from Giffnock North AC duo, Luke Traynor and Neil Gourley, with the endurance community once again warming to these GAA Miler Meet occasions. 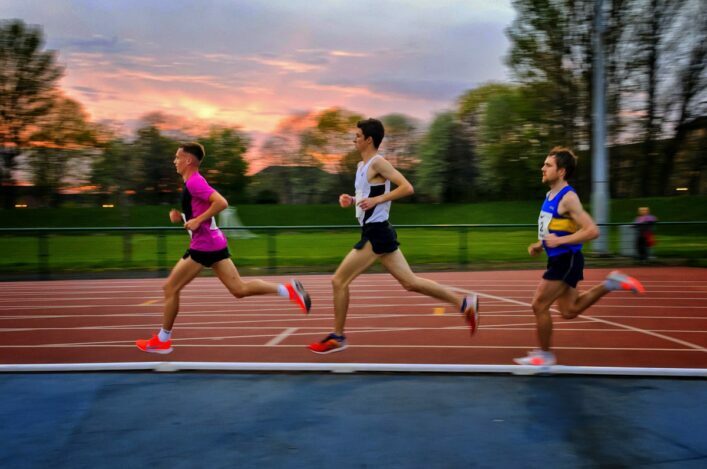 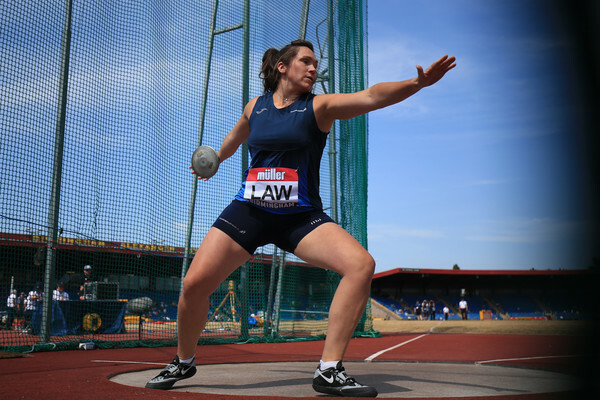 Jones, at 14.06.38, Maclennan at 16.1272 and Sweeney all thus shared in the GAA prize pot of £500 for this event, the last of three for the current track season. 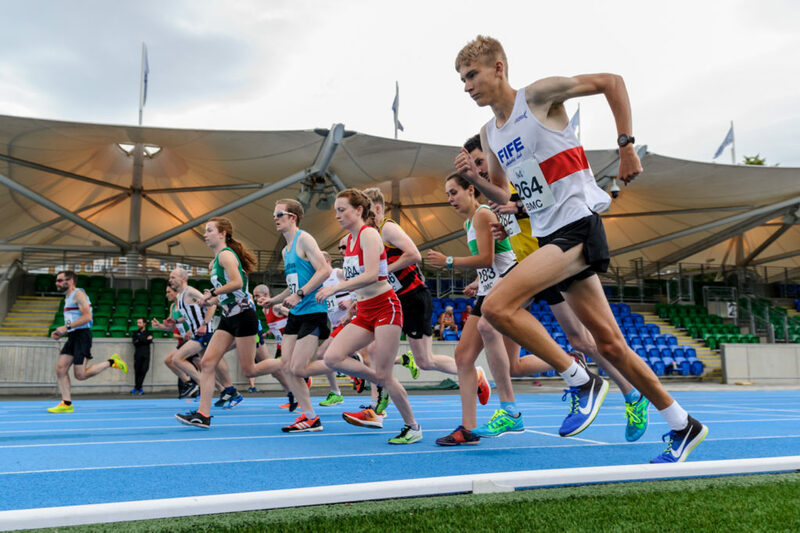 Miller for his part found himself involved in a battle for places with Cambuslang’s U20 West gold medallist, Gavin Smith, and Central AC’s Michael Wright as he clocked that 15.08.58 that looks to have improved the British best from 15.14 by Stephen Morris (although Power of 10 has a warning on possible missing data). 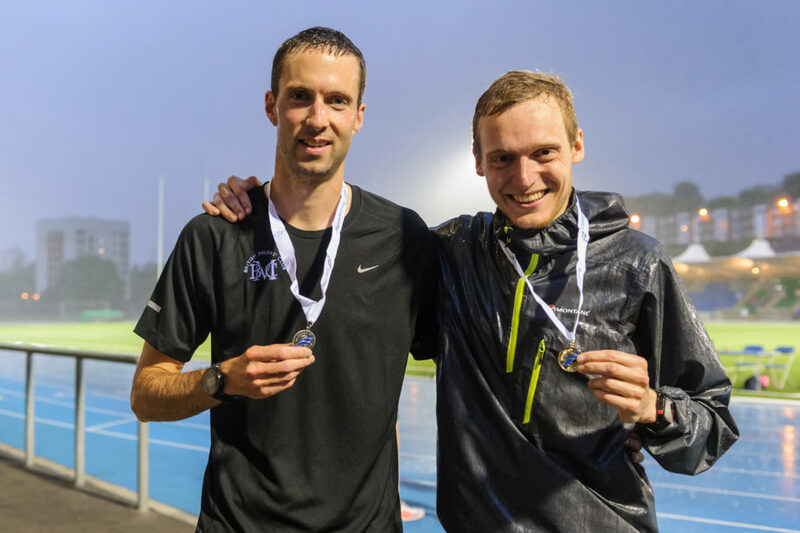 ‘Owen is really chuffed with his run and rightly so,’ said coach, Steve Doig. 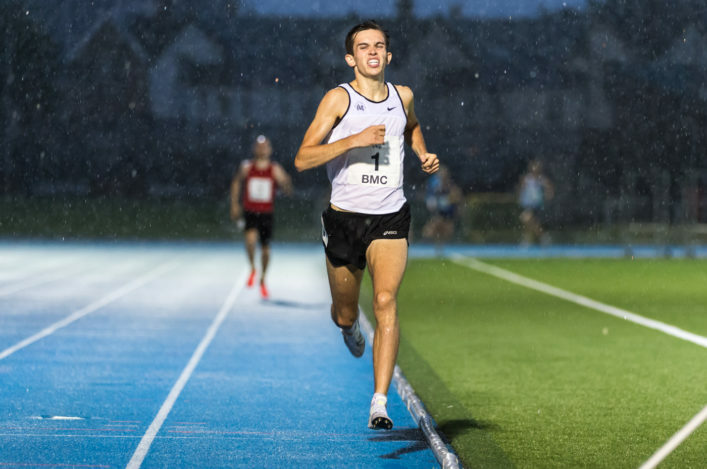 ‘He’s 26 and has been running since he was a youngster and this looks like a British best for the distance, although we are scanning Records lists and so on. 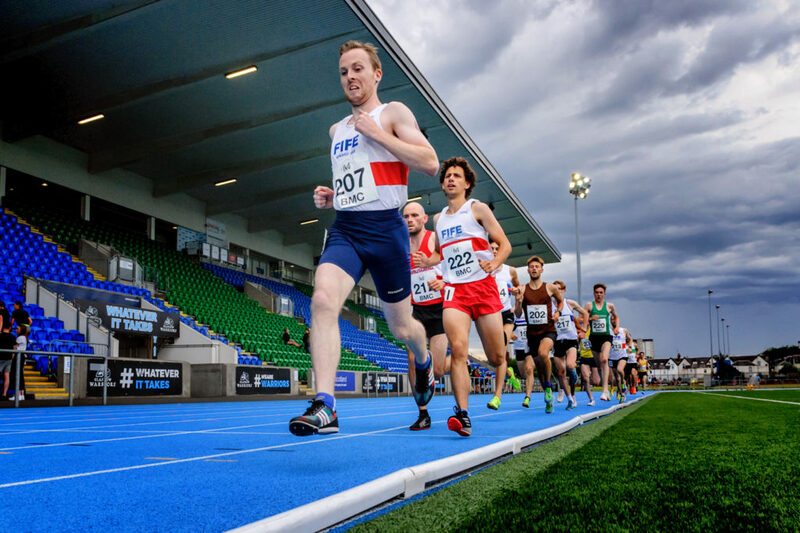 It is certainly better than the 15.14 run by at the IPC World Champs in London last year.